Water is the perfect drink. It is readily available just about anywhere, and it replenishes your body—keeping you hydrated. Drinking other liquids such as coffee, milk, carbonated beverages, and sports drinks does not replace the need for drinking clear, refreshing water. The truth is, your body needs pure drinking water. When you don’t drink sufficiently, these seven things may happen to you. Your body is mostly comprised of water, so it is no surprise that your skin depends on water to maintain its elasticity and prevent dry skin and other skin related irritations. When your body lacks water, you may also sweat less, which can keep your skin from being able to naturally wash away some of the debris your skin gathered throughout the day. This leads to acne breakouts and skin irritation. With dehydration, your tear ducts can begin to dry up, leading to bloodshot and irritated eyes. If you notice that your eyes are regularly dry, red, and bloodshot, then you should start drinking more water. 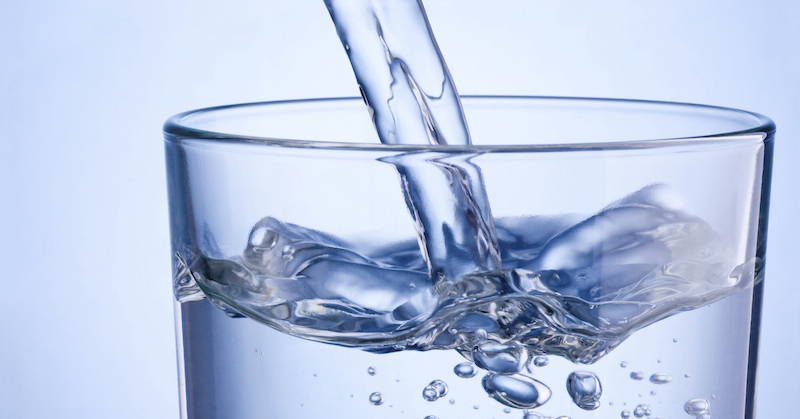 Dehydration can exacerbate existing eye conditions, such as glaucoma. Not drinking enough water could result in less muscle mass. Whenever you start a new exercise routine, staying hydrated throughout the workout is always recommended. It helps your muscles recover and prevents inflammation and muscle soreness. Drinking water consistently, helps your body to flush out harmful toxins. A regular and sufficient intake of water keeps your body’s organs working to help filter out waste. When you are dehydrated, toxins and bacteria remain in your system longer, dragging out your any pains and illness you may have. When your body does not have enough water, your body begin to rely on water from your blood stream. When your blood is dehydrated and lacking oxygen, then the rest of your body experiences this lack of oxygen that in turn, causes extreme fatigue. When you feel extreme fatigue, you have probably gone way too long without appropriate amount of water, and should begin to drink sufficiently to properly rehydrate. The lack of water can also cause constipation and other digestive issues. Your digestive system needs mucus, which is not developed as easily when you are dehydrated, to break down food and protect the lining of your stomach. Without proper hydration, your stomach acid can attack the inside of your stomach, causing indigestion or even heartburn. Another medical condition that you may experience, by not drinking enough water, is kidney stones. Kidney stones typically develop when there is an imbalance of water, minerals, and salts in your urine. Actually, not staying hydrated is the leading cause of kidney stones, as the lack of water will allow salts and minerals to stick to each other, creating a kidney stone. This is just a sampling of the potential health risks that you face, if you do not drink enough water. If you want to avoid these problems, then you should stay hydrated throughout the day. Try to consume at least 8 eight-ounce glasses of water each day. If you stay hydrated, you can greatly increase your health and help ward of these health conditions. Read: How much water do you need to drink daily.